Tokyo, March 29, 2019: Fujitsu Limited today announced that the company has presented an analysis of the impact of digital transformation on mobility services, outlining megatrends and business opportunities. 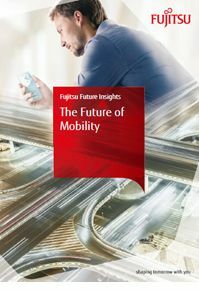 Fujitsu has compiled these insights into a report, entitled 'Fujitsu Future Insights The Future of Mobility'. A short animated movie accompanies the report to illustrate how the future of mobility will support the daily lives of people.